W.I.C. 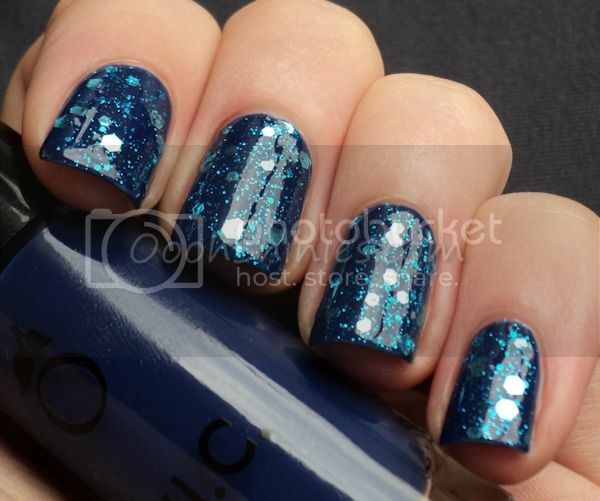 by Herôme Frankfurt with Essence Glorious Aquarius. 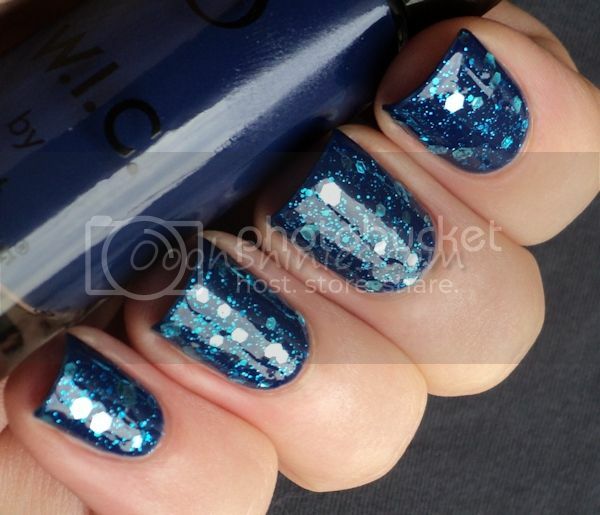 Shown above is 1 coat of Glorious Aquarius on Frankfurt, finished with top coat. The finest glitter in GA applied easily, the larger ones went on as well without much fishing, but I did help them a little here and there with an orangewood stick. Sometimes Essence glitters aren't as packed as you'd expect from looking at them in the bottle, which means you'll end up fishing a lot or getting lots of the clear base on your nails as well, but luckily that wasn't the case with this one!